Pragma-dialecticians are mainly Dutch argumentation theorists, while informal logicians are chiefly Canadian reformers of logic. The two groups are further differentiated in that pragma-dialecticians find their disciplinary home in speech communications while informal logicians dwell in philosophy. Yet these two groups, richly represented at this conference, have interacted productively for over twenty years. What is their common ground? And how did each come to find it? Initially I believe the groups met over informal logical fallacies, although there is not the only way of describing their common ground. So let us glance at what informal logical fallacies are. A fallacy is a false belief held by one or more persons to be true, in other words, a mistaken belief. A school of American literary critics (the New School) held in the mid-twentieth century that you should not consult the intentions of the artist in evaluating an artwork, and that those who did so committed the intentional fallacy (Wimsatt & Beardsley 1954). But such a mistaken belief (if it is mistaken) is not yet a logical fallacy. A logical fallacy is a mistake in reasoning (or arguing), and frequently the statement so inferred will be false. But this is not necessarily the case. It is simply unproven by these premises in this inference, yet might be proven by some other combination of premises and reasoning. The distinction of informal from formal logical fallacies takes us to the circumstances that motivated the rise of informal logic, so we must look at it more closely. Formal logics offer us certain forms of inference or argument as valid, and the charm of a valid form (or indeed of formal logic itself) is that when you substitute appropriate (true) premises, you are assured of getting a true conclusion. In this sense valid forms have probative force – they contribute to proving conclusions. In some cases the form is a way of organizing certain complete statements, as in modus tollens; in others you have a small number of statement forms into which you substitute subject and predicate terms, as in the Aristotelian syllogism. A formal logical fallacy occurs when you substitute into an invalid form, one which will not prove a conclusion even when all of the premises are true. Examples are the fallacy of undistributed middle term in syllogistic logic, or negating the antecedent in propositional logic. On the other hand an informal logical fallacy is a failed inference or argument whose fatal flaw is unrelated to any formal feature. Begging the question is an example, where we assume as true in a premise what we attempt to prove in the conclusion. The appeal to ignorance is another example, where we fallaciously claim that a conclusion is true because no one has disproved it. At this point a critic might object that we are mistaken in claiming that begging the question is unrelated to formal features. It involves the relation of premises to a conclusion, which is the form of an argument and hence a formal feature. But this an unhelpful way of speaking about arguments because the premise-conclusion relation is what constitutes an argument – without it, whatever use of language you have, it isn’t argument. And even if we accept that the premise-conclusion relation is a form, it differs from the forms of formal logics in having no probative force. So it is not a form in the sense that the forms of formal logics are forms. The great insight, which arose with the work of John Woods, Douglas Walton(1989), Ralph Johnson(1996), and J. Anthony Blair(Johnson 1996: 2-51) in the 1970s and 1980s, was that where there were informal logical fallacies, there was also an informal logic. Put differently, given that formal techniques are of little or no avail in analyzing informal fallacies, the techniques we develop for dealing with such informal logical fallacies will constitute an informal logic. To deal with them effectively would be to have criteria for identifying them, to understand why they are fallacious, and to be able to avoid them in one’s own reasoning and arguments. Informal has developed from little more than a list of fallacies, against which any given argument is checked, to a developed theory of argument in natural language and its appraisal. So valuable is this insight that in my judgment we are today still in the early stages of exploring its implications. But a large part of its value at that time was its challenge to the accepted view among Anglo-American philosophers that classical (formal) logic and its progeny are the only logics worth serious attention. The problem with that view is that classical logic was developed by Frege(1986) and Russell(Whitehead & Russell 1927) with the goal of deducing all true propositions of arithmetic as theorems from a small number of axioms, and beyond subsequent applications in computer languages and work in AI, it has proved to be of little use. The conviction that classical logic is the gold standard is present in Susan Haack’s discussion of all other logics as either rivals to (intuitionist), extensions of (Lewis’ modal systems), or deviants from (Lukasiewisz’s 3-valued) classical logic. Haack’s is a discussion (1974)for which informal logic does not yet exist. Classical logic still prevails among professional philosophers in the U.S.A., where mastery of its propositional and predicate calculi is a leaving requirement of many better graduate programs in philosophy (e.g. according to websites visited in April 2006, Cornell, Vanderbilt, Yale, Harvard, Berkeley). The irony of this is that these budding professional philosophers are force-fed a logic they will almost never use in their work, unless they become mathematical logicians. Witness W.O. Quine, regarded by some as the most important logician of the later twentieth century. The techniques he developed for classical logic in Mathematical Logic and Set Theory and Its Logic are scarcely to be found applied at all in works like From a Logical Point of View or Word and Object, which established his reputation as an ontologist and philosopher of language. It isn’t that in these works classical logic does no heavy lifting but that it does almost no lifting at all. So it is perhaps not surprising that early steps toward developing informal logic moved tentatively away from classical logic and its progeny rather than breaking off decisively with it. In stimulating, carefully argued, and influential papers on specific informal fallacies in the 1970s and 1980s (Woods & Walton 1989) a variety of logics, some clearly formal, were drawn on. The debate this approach provoked at the first International Conference of ISSA (1986) was directed not so much at the reliance on formal logics as the plethora of logics drawn on. As Grootendorst and van Eemeren put it, we should not have to learn a complete new logic for each individual informal fallacy. A more parsimonious theory was desirable, and undergraduate teaching would require a simpler approach. What we should learn according to these founders of the Amsterdam School is how a critical discussion should be properly conducted, which would mitigate against committing these informal fallacies. But let’s glance at how the Amsterdammers arrived at this point. Their quest for an improved understanding of argumentation in natural language was not directed against formal or any other logic so much as it challenged the work of rhetoricians, especially Perelman. For Perelman, logic is too entangled with mathematical concerns to be of use for understanding argument in natural language (Perelman & Olbrechts-Tyteca 1969). So the technique he pioneered is not a new or informal logic but a new rhetoric. The successful argument persuades its listeners or readers and may be a quasi-logical one, or one based on the structure of reality, or one constituting reality. There is no criterion of success for an argument other than persuading its intended audience. Audiences may differ, so an argument successful with one may fail with another. Perelman avails himself of a universal audience also, one that accepts factual statements and scientific truths as premises for arguments. But little use is made of this universal audience to validate an argument. There is in fact no actual universal audience representing rationality – the deviser of the argument constructs the universal audience, and so it too differs from one rhetorician to another. The notion of assessing premise acceptability against a universal audience has influenced the Amsterdam School test of premise acceptability as well as the community of model interlocutors of Blair & Johnson (Johnson 1996: 96-99 and Johnson 2000: 268) But van Eemeren et al. are restive with the argument types of the rhetoricians, finding it difficult to decide which type a given argument fits. They are also critical of Perelman for not making more use of formal logic in evaluating arguments and more use of the universal audience qua rationality for the same purpose. Rhetoricians on the other hand are more inclined to fault Perelman for relying too much on the universal audience, arguing that it won’t carry the load Perelman places on it (Ede 1989) or that it is best understood as a metaphor (Scult 1989). One measure of Perelman’s influence in invigorating philosophical rhetoric in the U.S. is the work of the late Henry Johnstone Jr. at Pennsylvania State University, including the founding of the journal Philosophy and Rhetoric. The Amsterdam School terms its approach to argumentation “pragma-dialectical.” “Pragma” captures the speech-act perspective and contrasts with the formal dialectic of Barth & Krabbe (1982: 62-111). “Dialectic” refers to the central dialogue model. Walton (Informal Logic. A Handbook for Critical Argumentation Cambridge: Cambridge University Press 1989 pp. 3-11) provides a typology of dialogues comprising quarrel, debate, persuasion, inquiry, negotiation, information-seeking, and educational. 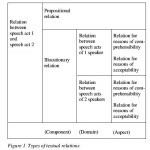 All involve question and response interaction between two parties, yet starting point, method, and goal differ in each case. E.g. the goal of debate is to impress a judge or audience, that of negotiation, personal gain. As the methods and goals differ, so too the criteria of success. The informal logician must have some familiarity with the different types because actual dialogues can shift from one to the other and hence require assessment by differing criteria. Pragma-dialecticians divide the critical discussion into four stages: confrontational, opening, argumentative, and conclusive. In addition to the above speech-act strictures there are rules peculiar to each stage. I will touch briefly on all but the third, and then that at more length, drawing also on a later account linking rules and stages to informal fallacies (Eemeren & Grootendorst 1987: 283-301). The confrontational stage consists in one party expressing doubt of a claim advanced by another. Rule 1 reads “Parties must not prevent each other from advancing or casting doubt on a standpoint.” This rule is violated when a party is pressured by an appeal to force or to pity, or attacked with an ad hominem. Rule 2 applies to the opening stage: “Whoever advances a standpoint is obliged to defend it if asked to do so.” A burden of proof arises no earlier than this explicit challenge, and it must be assumed for the discussion to proceed. The party assuming it becomes the protagonist, the other the antagonist. This rule cuts off a failure to assume the burden of proof, or an attempt to shift it illegitimately. At the concluding stage Rule 9 enjoins the antagonist to retract his doubt of a successfully defended claim, or the protagonist to withdraw a defeated claim. This rule can be violated by a successful antagonist claiming that the opposite thesis has been established. This involves the appeal to ignorance and can also involve a false dilemma. Rule 10 applies to all stages, enjoining both to avoid vagueness and ambiguity. Any fallacy of equivocation or ambiguity would violate this rule, as well as other infractions such as unclarity of reference. Informal logicians are most interested in rules applying to the argumentative stage, where the protagonist shores up his claim against challenges. Rule 4 rules out defense with irrelevancies such as appeals to authority or to the people. Rule 5 makes the protagonist responsible for any unstated premises of his arguments, but prevents the antagonist from exaggerating such a premise to convert the argument to a straw man. Rule 6 relates to the common starting point and enjoins against concealing a premise as in the fallacy of complex question or many questions. Given that both pragma-dialecticians and informal logicians make important use of dialectic, what distinguishes them? First and foremost, the pragma-dialecticians are focused on the process of dialectic which they term critical discussion, and which when properly carried out legitimizes the result. The result is not known at the start of the process, but it decides whether a certain proposition may be asserted or not. One could fairly say that this is a process of argumentation that legitimizes the result. Informal logicians by contrast are focused on argument, a proposition or conclusion in support of which reasons or premises are advanced. These logicians consult a dialectical model to aid in determining whether this argument is sound, that is, whether as claimed the premises actually establish the conclusion. A dialectical process is hypothesized rather than any actual discussion being carried out between two parties, and the point of the hypothesis is mainly (though not exclusively) to generate objections to the argument. It is a way of helping the author of the argument think critically about his progeny by attempting to get the perspective of a sceptic disinclined to accept the claim that these premises establish this conclusion. There seems little question that Blair and Johnson embraced the dialectical model to distinguish the new discipline they were creating, informal logic, from formal logics. For them argument as dialectical begins with calling a proposition into question, requires a respondent and questioner, and draws on background beliefs shared by a community (Johnson 1996: 90-92). Formal logic as such establishes the validity of argument forms by deducing them from axioms, or employing Gentzen’s natural deduction techniques, or by using truth tables in the manner pioneered by the early Wittgenstein. As formal it has no relation to a dialectical process. Even at this early stage of their thinking Johnson and Blair are clear that relative to dialectic they are dealing with the product of a process – the argument – rather than the process itself. It is necessary to adequately grasp and evaluate the argument that it be viewed against the background of the dialectical process (Johnson 1996: 91). In more recent writing Johnson (2000: 313-320) has indicated that the informal logician needs to do more than consult what he now terms the dialectical tier. For example, he must gather whatever information is needed to decide whether the premises are reliable. In this brief compass I could offer only a smattering of evidence for my claim that these two groups have interacted fruitfully for over twenty years. It is most desirable and most probable that this fruitful collaboration should continue. But rather than dwell on this happy prospect, I will comment critically on the dialectical model employed by Johnson and Blair. The model needs to be developed more carefully if its use is to be tailored to a product rather than a process. Johnson and Blair wrote initially of the roles of questioner and respondent that “two or more persons may occupy different roles at different points in the discussion” (Johnson 1996: 91). Blair repeated this in his paper read at this conference (“Inquiry and the Critical Discussion Model”) and upheld under questioning (by the present writer) that the roles of questioner and respondent can be exchanged during the dialectical process. If by this Johnson and Blair mean that the questioner can become the respondent and vice versa during the process relative to the argument for which the dialectical tier is invoked, they appear to me to lose something valuable for informal logic as well as the opportunity to distinguish it from pragma-dialectics. There in stage 2 of the critical discussion the respondent agrees to defend a proposition the questioner has challenged. In this dialectical process the questioner raises objections to the proposition. These are identical to arguments against the proposition, that is, they comprise one or more premises supporting as conclusion the negation of the respondent’s proposition. The duty of the respondent is to respond to them. The informal logician has a completed argument in hand before consulting the dialectical tier – this means a conclusion claiming support from one or more premises. An informal logical fallacy is as stated above always an unsound logical argument, not the ill-advised assertion of a claim or proposition. The duty of the questioner in this dialectical process is to challenge the claim that these premises establish this conclusion. If the process is properly conducted, neither party will stray from their respective tasks: the questioner challenges the claimed support and the respondent defends it. In any real critical discussion a respondent may actually challenge some assertion of the questioner and attempt to get her to assume a burden of proof relative to it. If she did so, the roles would switch relative to this new assertion. This may be a possible move when two different parties are carrying out a real critical discussion. But it is unacceptable in the dialectical tier because it leaves the task of assessing the original argument hanging incomplete and constitutes the assessment of the new argument created when a burden of proof is provisionally discharged by the questioner relative to her assertion. In short, this move converts the assessment of a product (an argument) by an informal logician into a critical discussion of a pragma-dialectician. There are corollaries to this more tightly circumscribed dialectical model for informal logic which I will only hint at. They and indeed the model itself are much in need of further exploration and development. For the same reason why role reversal is ruled out, the respondent is not allowed to significantly change either the conclusion or the premises or the original argument. With one possible exception, such a move would constitute a new argument. The exception is the case of a convergent argument – the type for which the dialectical tier is most useful. The respondent is allowed to concede in this case that he can no longer uphold one (or even more) premises of a convergent argument, yet still maintain that he has successfully defended the argument against the questioner. The convergent argument is the one where the conclusion receives (or is claimed to receive) separate independent support from several premises, and it is always possible that one (or more) premises do not deliver the support yet the conclusion receives sufficient support from the remaining premises to still constitute a sound convergent argument. Barth, E.M. & E.C.W. Krabbe. 1982. From Axiom to Dialogue. Berlin: de Gruyter. (Ede, Lisa S. 1989. Rhetoric v Philosophy in The New Rhetoric of Chaim Perelman: Statement and Response, ed. by Ray D. Dearin. Lanham MD: University Press of America, p. 142 et passim. Eemeren, Frans H. van et al. 1987. Handbook of Argumentation Theory. Dordrecht: Foris. Eemeren Frans H. van & Rob Grootendorst , 1987 Fallacies in Pragma-Dialectical Perspective. Argumentation I 283-301. Frege, Gottlob. 1968. The Foundations of Arithmetic, translated by J.L. Austin. Evanston: Northwestern University Press. Haack, Susan. 1974. Deviant Logic. Cambridge: Cambridge University press. Johnson. Ralph H. 1996. The Rise of Informal Logic. Newport News: Vale Press. Johnson Ralph H. 2000. Manifest Rationality. Mahwah: LEA Inc.
Perelman, Ch. & L. Olbrechts-Tyteca. 1969. The New Rhetoric. Notre Dame. University of Notre Dame Press. Quine, W.V. 1981. Mathematical Logic, rev. ed. Cambridge: Harvard University Press. Quine, W.V. 1969. Set Theory and its Logic. Cambridge: Harvard University Press. Quine, W.V. 2003. From a Logical Point of View, 2nd ed. Cambridge: Harvard University Press. (Scult, Alan. 1989. Perelman’s Universal Audience: One Perspective, in The New Rhetoric of Chaim Perelman: Statement and Response, ed. by Ray D. Dearin. Lanham MD: University Press of America, pp. 153-162. Walton, Douglas N. 1989. Informal Logic. A Handbook for Critical Argumentation. Cambridge: Cambridge University Press. Whitehead, Alfred North & Bertrand Russell. 1927 Principia Mathematica, 3 vols. Cambridge: Cambridge University Press. Wimsatt, W.K. & Monoroe C. Beardsley. 1954. The Intentional Fallacy in: W.K. Wimsatt, The Verbal Icon. London: Methuen, pp. 3-18. Woods, John & Douglas N. Walton. 1989. Fallacies. Selected Papers 1972-1982.